A UNSW Sydney initiative bringing together artists, scientists and communities to reimagine the state of mental health in the 21st century has received a financial boost as it prepares for its second instalment. The Member for Coogee, Bruce Notley-Smith, today confirmed a $100,000 grant supporting the Big Anxiety Festival, the world’s largest mental health and arts festival transforming the way people think about and deal with mental health via innovative experiences. The month-long biennial festival, which will be held 27 September – 3 November 2019, will feature state-of-the-art immersive environments including the world’s highest resolution 3D cinema, international art exhibitions, theatre and performance, interactive media events and public forums. In 2018, The Big Anxiety Festival was named the Best New Event at the Australian Event Awards. 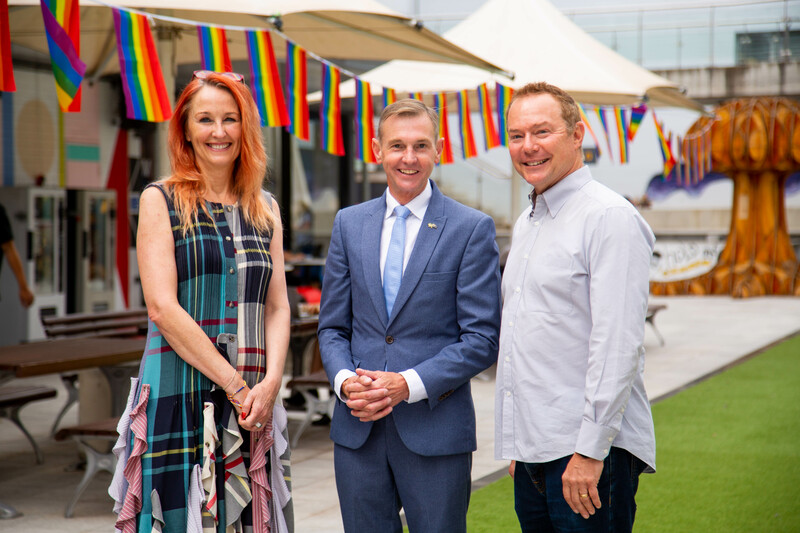 Mr Notley-Smith, who visited the EpiCentre at UNSW Art & Design on Wednesday to make the announcement, said the festival brought the important relationship between the arts and mental health to the forefront. Executive and Artistic Director of the Festival, Scientia Professor Jill Bennett from UNSW Art & Design, said the grant would enable the festival to create exciting projects at the cutting edge of arts and mental health. The 2019 Big Anxiety Festival is an initiative of UNSW in association with the Black Dog Institute and more than 25 partners across Greater Sydney.